India has always stood tall with its head high when it comes to protecting the civilians from all kinds of external or internal breaches of security. The attitude of our Armed forces has always been “DON’T MESS WITH US!” Considering a sub-continent that is surrounded by water bodies on three sides, with a coastline of 7,517 kilometres, the Indian Navy doesn’t really need a special mention. 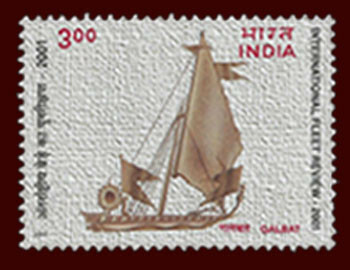 4th December is celebrated as Navy Day in India and today we take a look at some of the stamps of India that feature Indian Navy Ships!